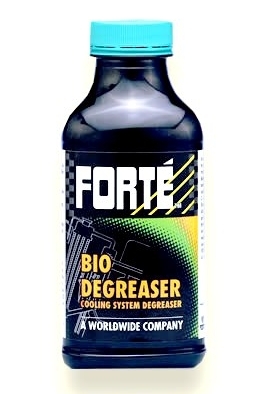 Forte Cooling System Bio-Degreaser effectively removes oil and grease deposits from the internal surfaces of automotive cooling systems thereby reducing heat related problems and engine failure. Remove residue left from combustion gases permeating through cylinder head. Remove blockages from radiator to restore cooling efficiency. Remove blockages from heater matrix to restore heating efficiency. Drastically cut costly component replacement costs and reduce downtime. Automatic Transmission Treatment is the recommended treatment for hydraulic system.